From the moment the doors opened at the first Ronald McDonald House in Philadelphia, PA, the McDonald’s System including owner/operators, suppliers, employees and customers, have called our mission their own. Since 1974, the entire system has opened their hearts to us, providing invaluable support and fueling our growth from one House helping a few families into a multi-national network of family-centered programs serving more than seven million children and families annually. Today, we are stronger than ever due in large part to the continued outpouring of resources from our Mission Partner, McDonald’s. Their unwavering support, extending from monetary contributions to volunteerism; from board participation to media donations, has helped us impact countless lives by giving children support, stability and the best medicine of all – their families. 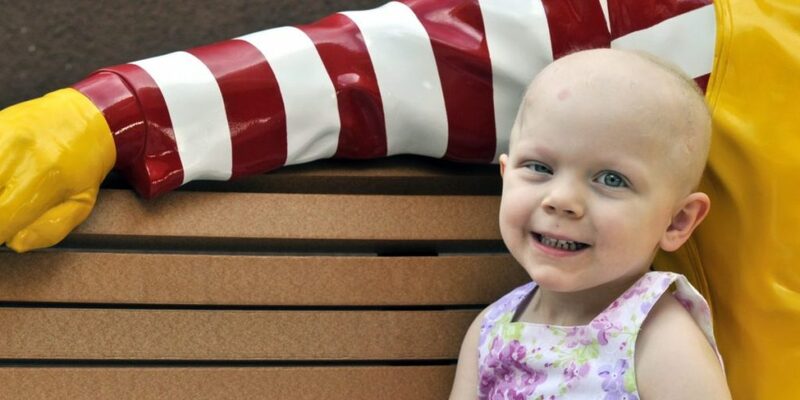 Although the McDonald’s system is our Founding Mission Partner, RMHC is a non-profit 501(c)(3) corporation and no one company can solely fund the growth of RMHC programs and services necessary to serve more families. We rely on the support of the entire community and greatly value any donations you can afford, whether it’s through cash and/or in-kind contributions, your time or fundraising efforts.